In South Memphis, four women live in high-stakes, high-risk territory. Ta’Shara has no interest in following her sister into the street game, but when she falls in love with the brother of a rival, her own sister orders a severe punishment. LeShelle didn’t get where she is by being nice. When a drug mule tries to take her spot next to her man, Python, she pulls the hustle of a lifetime. Yolanda is ambitious but not too smart. A lucky break lands her in Python’s bed and makes her an enemy of LeShelle. Melanie is a police detective, but she helps Python skirt the law to line her pockets. When she starts catching feelings, everything goes to hell, and her shiny badge can’t help her now. 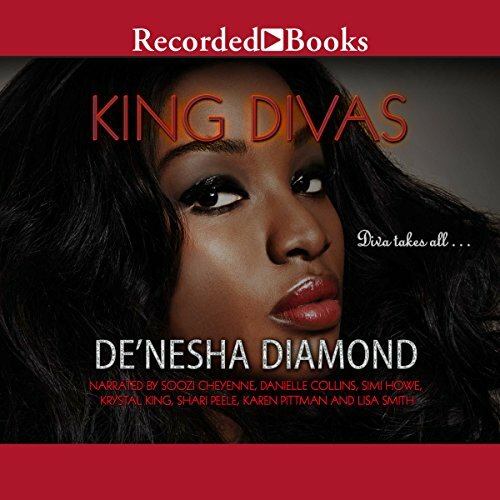 De' Nesha Diamond is the award-winning, best-selling author of more than 40 novels. 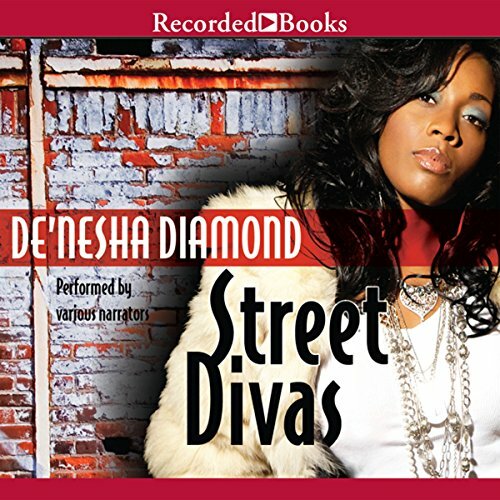 The Duchess of Street Lit, she is the coauthor of the national best-selling novels Desperate Hoodwives, Shameless Hoodwives, and The Hood Life. 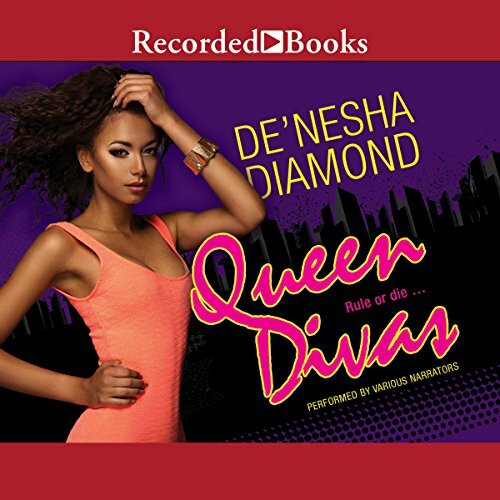 The queen of the street lit genre, De’nesha Diamond pens tales about the toughest ride-or-die chicks ever to roam the streets of the Dirty South. In Street Divas, four powerful women vie for total control of the Memphis hood, and they aren’t about to let past loyalties get in their way. While Lucifer is hitting the streets to get her revenge for a deadly shooting, Essence is hitting the sheets - with her best friend’s man. And Yolanda knows her path to power lies with her baby’s hustler father, but Queen G Leshelle is dead set on keeping this game all to herself. Gangsta Divas puts listeners on the streets of Memphis, where gang wars are heating up thanks to the arrival of dangerous new players - the Cripettes. Ta’shara is planning to knock her sister off her perch and climbing to the top of the game. Qiana’s deal with the devil places her directly in the crosshairs of forces ready to take her out. And Queen G LeShelle’s list of enemies keeps on growing. But for these gangsta divas, it’s all part of the game - one they’re determined to win. The most lethal ride-or-die women in Memphis now run their gangs and the streets. But the aftermath of an all-out war means merciless new enemies, time-bomb secrets... and one chance to take it all... Bullets have no names and collateral damage is the game as the women of the Dirty South push to secure total control. The most ruthless ride-or-die women of Memphis saved their empire by nearly destroying the streets. But as unexpected new rivals rise and brutal secrets shatter lives, betrayal means winner rules all. Putting out chaos with gasoline is one play that even the women of the Dirty South can't control. One merciless kill vaults good-girl-gone-bad Ta'Shara into gangland's power elite - but an enemy she doesn't see is targeting everything she can't afford to lose. It's scorched-earth, all-or-nothing war for Memphis' most merciless ride-or-die women, and even their survival skills are no guarantee. And once alliances splinter and explosive revelations rip apart their empire, one diva's revenge will become the ultimate deadly reign.